Finally, the lost histories of the Catastrophe will be revealed and with them the ultimate fate of the buried city of Recoletta in the dramatic conclusion to Carrie Patel’s trilogy. 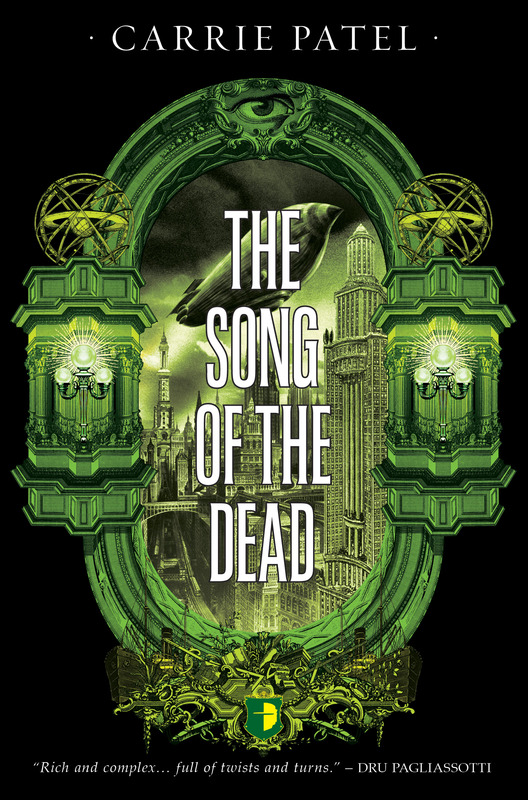 The Song of the Dead is the final book in the Recoletta trilogy, which follows the adventures of Inspector Liesl Malone and laundress Jane Lin as they navigate the political intrigues of rival underground city-states. Each book approaches their story in a slightly different way, and The Song of the Dead is primarily a journey novel about their escape from the city of Recoletta and their search for distant lands and difficult answers. My favorite part of this book is the execution scene at the very beginning in which Malone is led to the gallows by the leaders of Recoletta. Once upon a time, in an earlier draft, this scene appeared at the end of the first third. 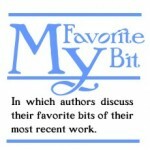 My critique partners were giving me feedback, and one of them remarked, “You know, this would make a great opening for a short story.” We all got to talking about what that would mean for the structure of the first third and how it might work, and I realized that was a completely feasible adjustment. Not only was it feasible, it was better. First, it’s one of the more urgent scenes in the early story. One of the two series protagonists is being marched to her death by representatives of the city she’s spent two books defending. The scene introduces stakes, tension, and questions right off the bat. How better to begin? Secondly, it does a better job of establishing the story than a purely chronological sequence would have. The early events of The Song of the Dead take place in Recoletta, and yet most of the story is about the wider world beyond the city. It’s about the intervention of forces larger than Jane or Malone imagined, and it’s about seeking answers to questions that have been raised from the first book—what catastrophe drove these cities underground? Did anything else survive? What interrupts Malone’s hanging is the harbinger of a distant civilization, a man with many questions of his own. The journey they undertake together—each seeking answers as well as salvation for their own particular civilizations—is what the story is really about. The beginning of the novel, on the other hand, shows how Malone’s careful plans for peace fall apart. It follows the series of conflicts and dilemmas that send her to the gallows, that exile Jane, and that trigger a transcontinental chase between the two women. These events are critical to the development of the story and the characters, but the execution scene presents a clearer image of where the rest of the novel is headed. Of course, this restructuring created a quandary. How do you tell the story of the beginning when you’re opening with the middle? In the end, resolving this led to what is, in my opinion, one of the greater strengths of this approach: the framing narrative. Ultimately, The Song of the Dead is about the stories people tell one another and the way those stories take on a lives of their own. The first third of the novel unfolds in two parallel retellings, with Malone recounting the story of the events that led to her (aborted) execution to her mysterious rescuer and Jane explaining how she became a traitor and exile to someone else. There’s some careful calculation in what the two women choose to tell their interlocuters, and there’s some obvious miscalculation in what they’ve assumed about each other. This sets them up for two parallel journeys and two searches for answers that call into question what they think they knew about themselves and their world. Why save the best for last? Start with the good stuff.